Kampala standard or Mid range Hotels are here listed for you. 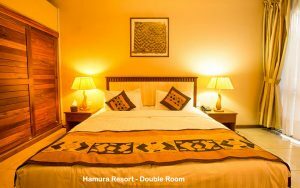 You can choose from our range of Mid range range hotels for your Kampala standard stay. Human Resort is tranquil boutique hotel located in a country calm atmosphere. The inscription of the hotel is the high hospitality provided by the staff working in this world class-midrange boutique hotel. 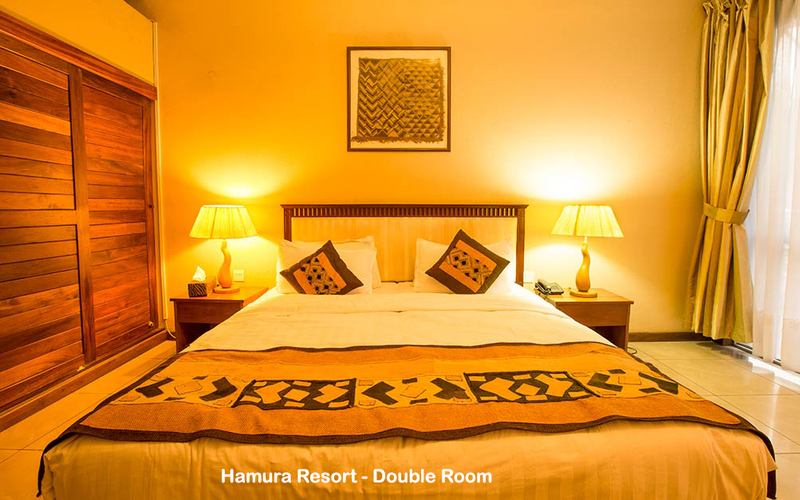 Humura Resort provides accommodation facilities in the 18 spacious rooms with high ceilings, modernly embellished with paintings and sculptures. Light tone painted walls, in a natural brown trim, blend perfectly with the wooden appointments in the room. The Restaurant of the Humura Resort, ‘Shiima’ with a capacity of 50 is patronized by guests and demanding clientele who recognize the importance of high cuisine standards. The restaurant offers open air dining where guests can enjoy exquisite meals in a relaxing atmosphere around the pool. The hotel has a pool bar with a local and international selection of drinks and refreshments. In regard to conference facilities, the hotel provides two corporate meeting rooms with the ability to handle 15 and 20 participants respectively (board room style), and 25 and 40 respectively (classroom style). The modern conference Centre in the hotel offers visitors a variety of options, in a natural light environment with Wi-Fi and all the latest technological offerings to facilitate meetings. Refreshments including tea, coffee, mineral water and pastries are available during meetings. 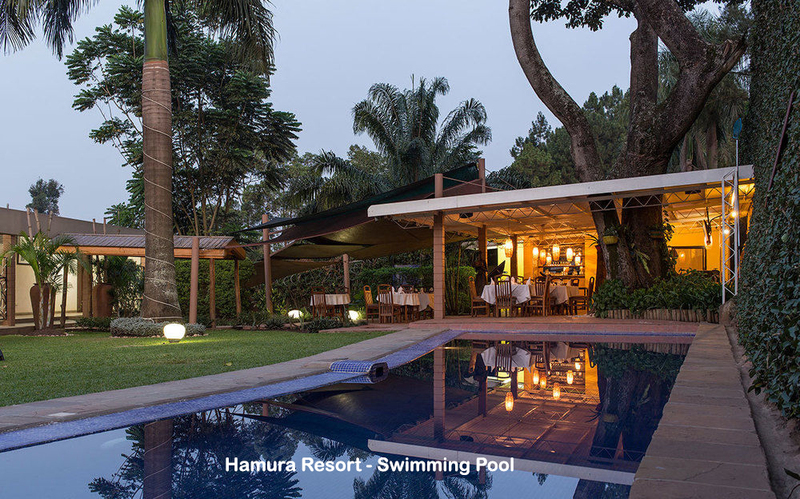 Hotel Africana is Uganda‘s Premier mid-range Hotel located about 40 minutes’ drive from Entebbe International Airport and 3 minutes’ drive from the city center. The serene location of the hotel makes you feel at home from the moment you walk in featuring a panoramic view of the city skyline and surrounding hilltops. Hotel African is the best place to spend night while in Kampala because the hotel has 233 rooms distributed as 5 suites, 103 deluxe rooms and 117 twin bed rooms and 8 Apartments. All rooms are fully equipped with an individually controlled air condition system, attached with a full private bathroom, a balcony overseeing the spectacular view, satellite television, fridge, wire and wireless internet access. 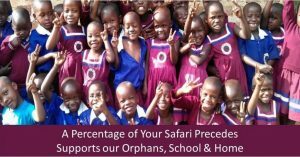 The hotel consists of Restaurant with a seating capacity of 120 people, fully air-conditioned, well-furnished and ideal venue for dinners and medium-scale wedding receptions. There is a wide choice of tasty dishes ranging from oriental, western and traditional African delicacies under attractive ambiance. At the Coffee shop enjoy a hot beverage and sample a flavorful variety of snacks and pastries 24 Hours a day. The hotel also has the Lounge Bar where one can get the fill of his choice. In regard to conference and events facilities, the hotel has over 14 fully furnished well air-conditioned conference halls with seating capacities ranging from 20 – 3000 participants. The conference rooms are Internet ready with a dedicated high speed wireless connection to the internet and other features in the conference rooms Include Writing pads, flip charts, pens & pencils, overhead projector, internet services, printing & typing services, faxing & binding and much more. Within the hotel is another state of the art multifunctional conference complex. over 1000sqm have been allocated to a functional place, air conditioned; and with the very best in-built systems such as sound, audio, projection, lighting, wire and wireless internet access. Seating over 2500 people, the place is ideal for conferencing, workshops, mega wedding receptions, exhibitions and concerts. Hotel Africana boasts of its modern health club comprising of sauna, massage, steam bath, gym and aerobics. Hotel Occupants get free access to health facilities apart from massage. The hotel gym equipment is ideal for everyone’s health fitness and the professional instructors ensure you receive total workout satisfaction. Metropole Hotel is situated within the central business district of Kampala overlooking the Uganda Golf Course. This mid –range hotel in Kampala is the pioneer in using IP Telephony infrastructure in the Hospitality industry in Africa. 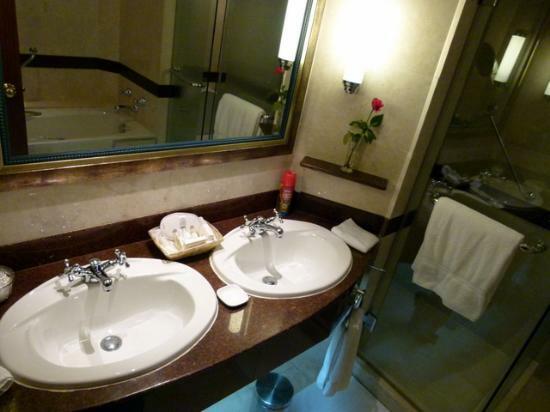 It is also equipped with high speed Wireless Internet connection in all rooms and public areas. The hotel has 36 Standard Deluxe, 8 Business Deluxe and 16 Club Deluxe rooms which are well designed to offer comfortable accommodation to mid-range travellers on safari tours to Kampala. All the rooms have amenities such as free morning newspaper delivered to room, Satellite TV Color 29″ TV, Refreshment/ Kitchen ,Tea/Coffee maker, Mini Refrigerator, Data Services, Wireless Internet connection, Workspace / Desk ,Phone / Fax, IP Telephony, Bathroom / Personal Care and Shower area. In respect to dining, the hotel has a choice of eating places. At lobby level, the 24-hour Olives coffee shop serves breakfast and provides all-day dining options. The Oriental Simply Thai serves both lunch and dinner and offers an authentic fine dining experience with Thai cuisine. The Acacia Grill, with its open live grill and great view ofthe golf course, is the place for barbecued meats. The bar, too, enjoys a spectacular view of the golf course. The hotel has two meeting rooms which can accommodate 70-80 individuals each. The meeting hall is complemented by a wide spectrum of facilities which include conference equipment and F&B arrangements that are created to cater to individual tastes. Cassia Lodge is located on Buziga Hill, one of the highest hills of Kampala close to Lake Victoria. 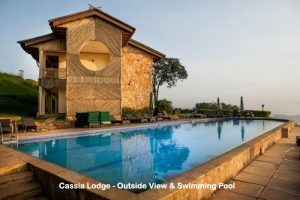 Coming from Kampala City Centre, follow Gaba Road, branch off right after Bunga Shell station, and then follow the sign posts ‘Cassia Lodge. The environment around the hotel is cool with few mosquitoes and an astonishing view of the lake as well as the city. The restaurant in the hotel can accommodate up to 100 people and hence ideal for small and medium sized parties. There is a terrace section “fresh air” and an in-door section with air conditional option. Adjacent to the restaurant is a bar with separate panoramic balcony. Including 18% VAT, all other taxes, breakfast.